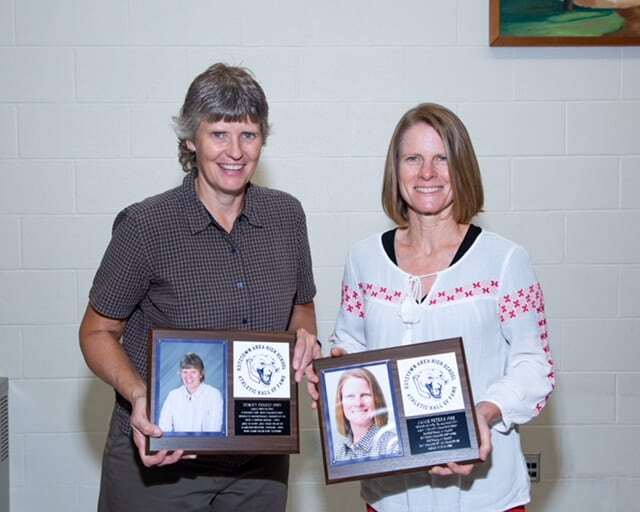 On September 7, two incredible female athletes were inducted into the KAHS Athletic Hall of Fame. Ms. Peters was introduced by her former tennis coach, a 2006 Hall of Fame Inductee, Mr. Ken Loose. Loose commented that Jamie was gifted even as a 6th grader, who always sought tougher opponents to play, although she would play any partner he assigned her without complaint.